Simply the best roaster you can buy. Its dimensions are perfect to be able to fit a conventional oven thanks to its non-overflowing handles. 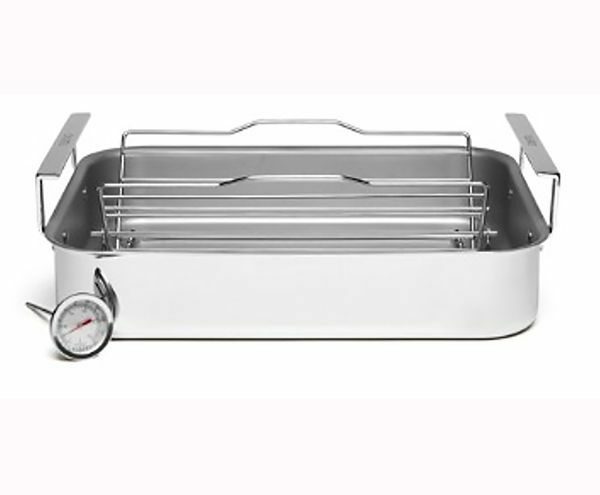 Its riveted handles run the width of the vessel to allow easy access without risk of burning even with potholders. 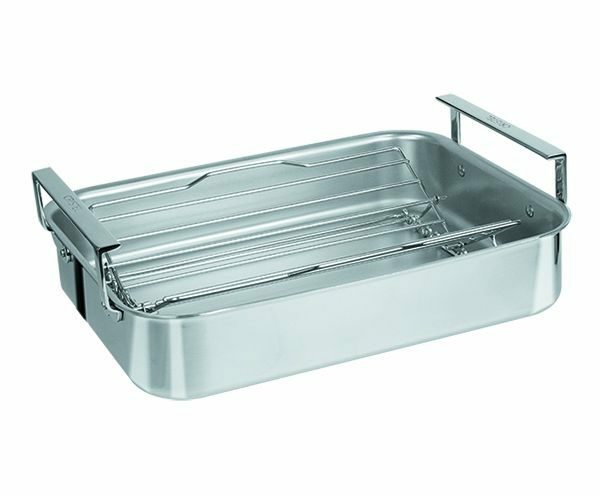 The 3-ply roaster is constructed of 3-ply stainless steel/aluminum/stainless steel, allowing cooking on an induction cooktop. 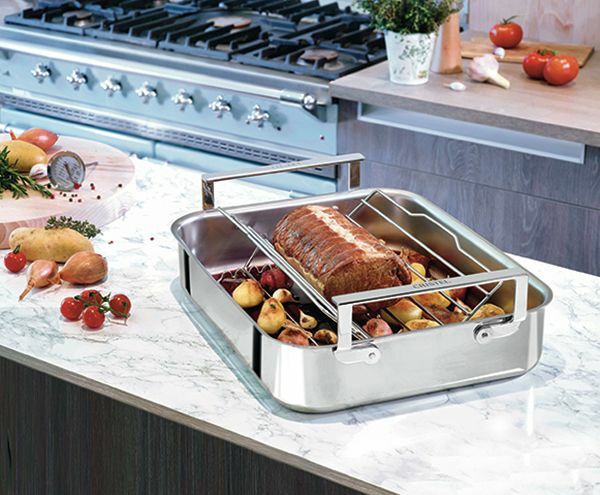 Equipped with an adjustable and foldable stainless steel rack for a space-saving storage, but also for use in horizontal position (steaming fish, beef sizes, rack of lamb, etc.). Additionally, a meat thermometer is an included bonus.